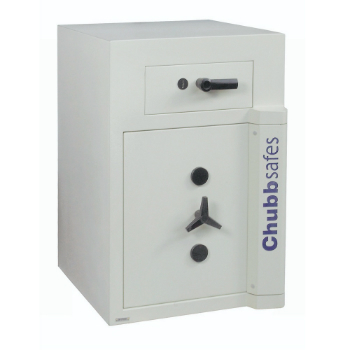 A new range of Deposit Safes from Chubb Safes are an ideal solution for cash handling businesses. These high quality safes are manufactured using modern, high specification materials to guarantee protection against thieves with a cash rating of up to £10,000. Multiple users are constantly able to deposit cash and other valuables securely thanks to deposit features which also allow the main body of the safe to remain locked. Double bitted key lock secures the deposit drawer. For more information and advice when choosing the right Deposit Safe call Thornhill on 0117 9674994 today.